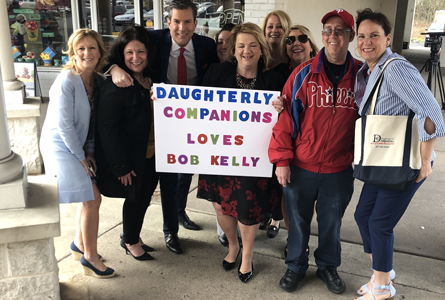 Fun day with The Daughterly Companions' Home Office neighbors Warrington Bakery celebrating the yummy Easter season with Bob Kelly from FOX 29. 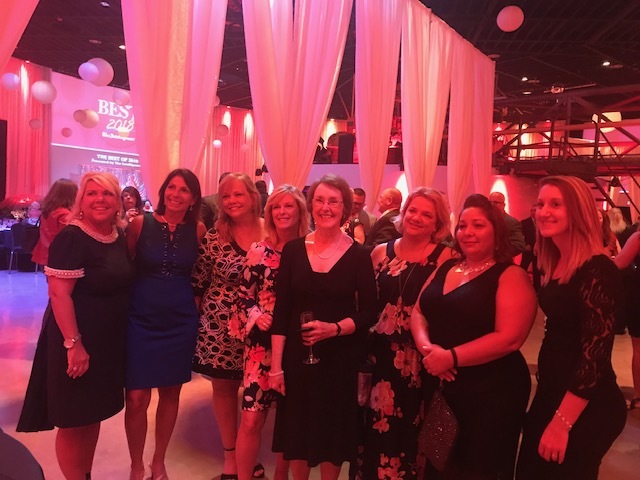 Thanks to our incredible staff we all got in on the excitement. 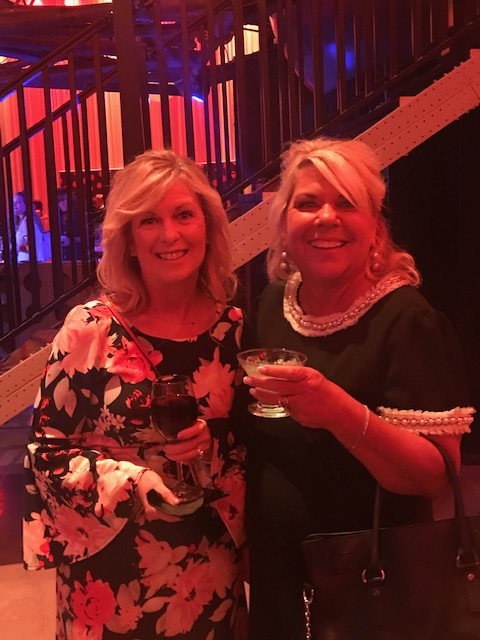 Daughterly Companions began with two friends who share the same first name; Karen, (Curry and McCormick), who changed the face of home care when they saw a need in their community. 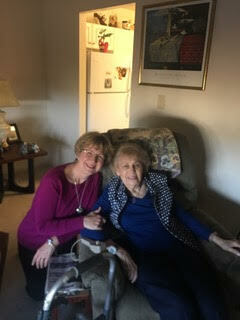 Daughterly Love, their non-profit arm presents a check to Area Agency on Aging. 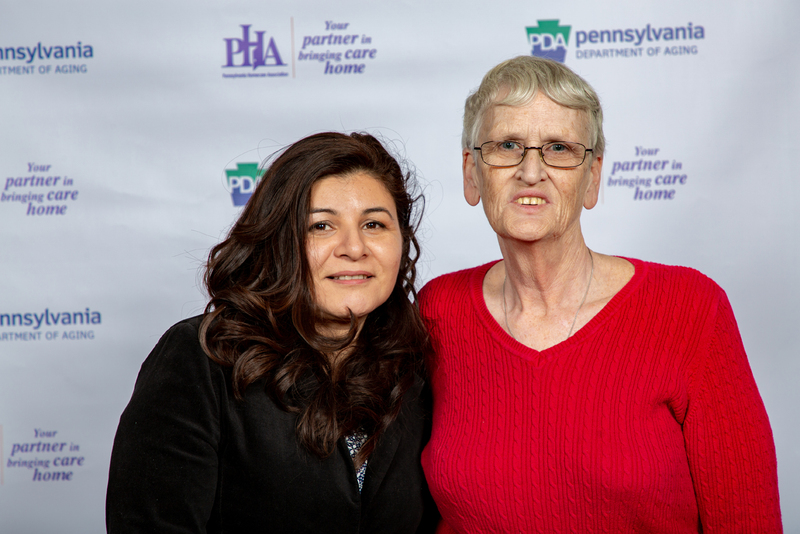 Mary Cabral and Claudia Gutierrez at the Direct Care Worker of the Year Award Red Carpet event. 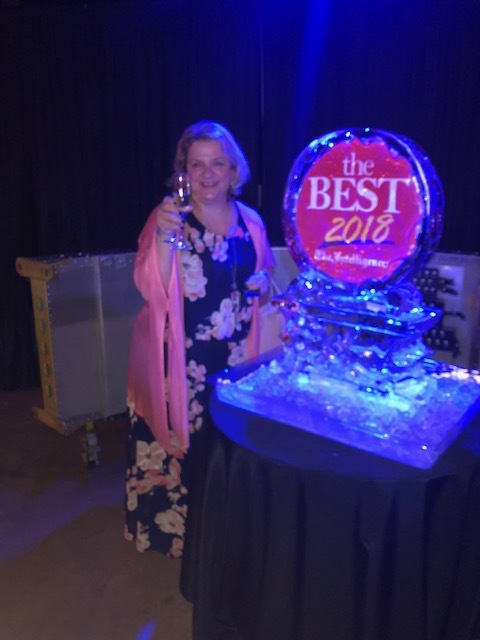 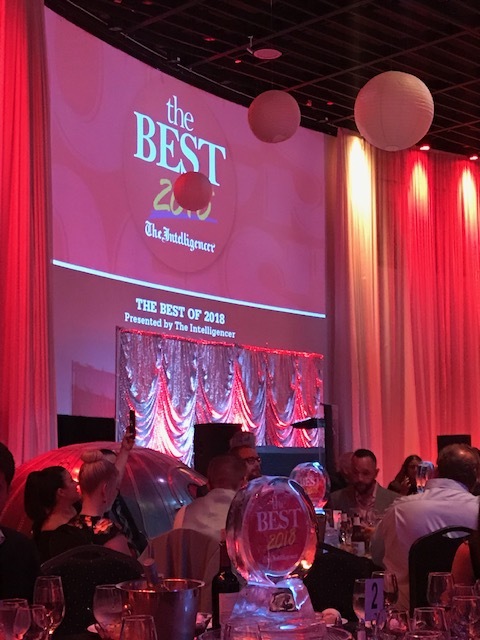 The Intelligencer invited the top three finalists in each category to a gala event where they awarded the Best Of, and One of the Best titles for 2018. 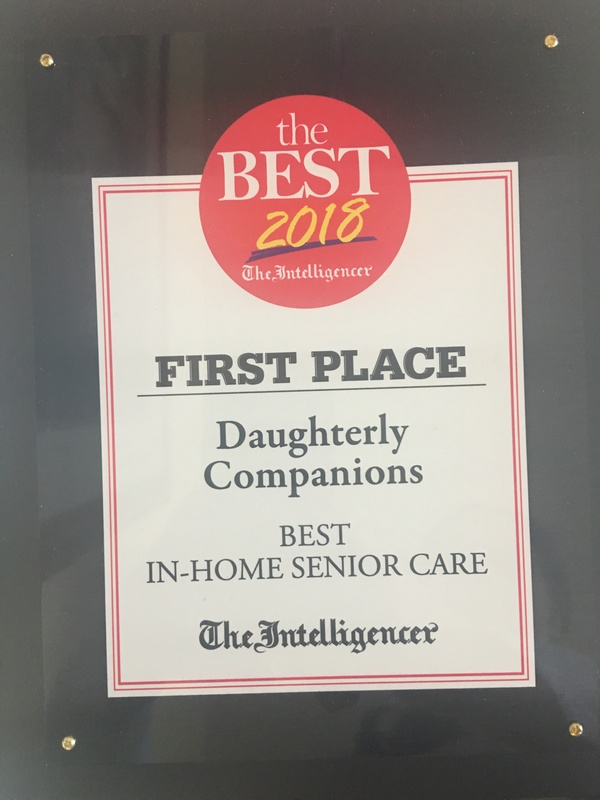 The team had an amazing time at the event where Daughterly Companions was adjudged the Best place in the In-home Senior Care category. 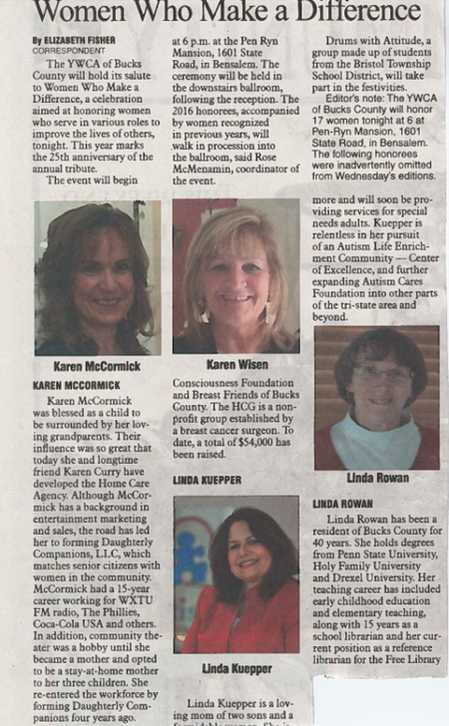 Daughterly Companions featured in the Bucks/Mont Intelligencer on September 16, 2018. 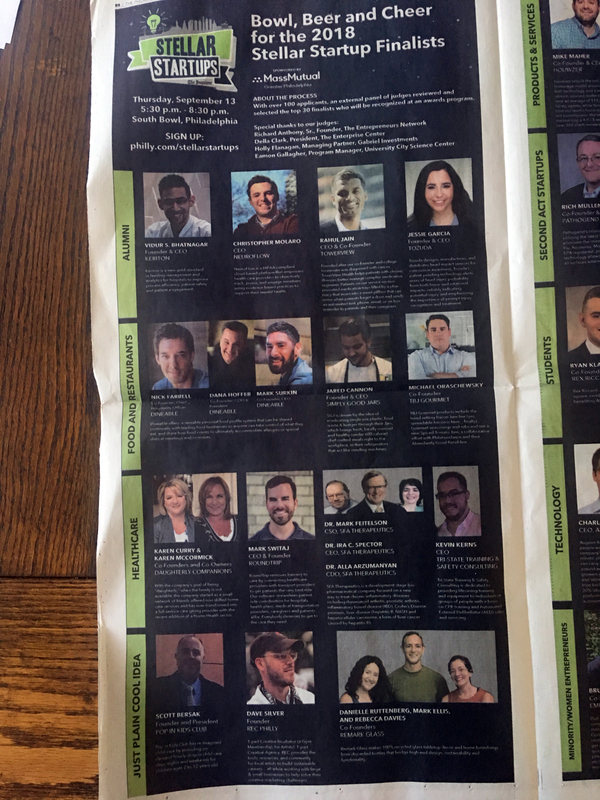 This year, they received nearly 100 applicants for the Inquirer's third annual Stellar StartUps contest recognizing some of the region's best new companies. 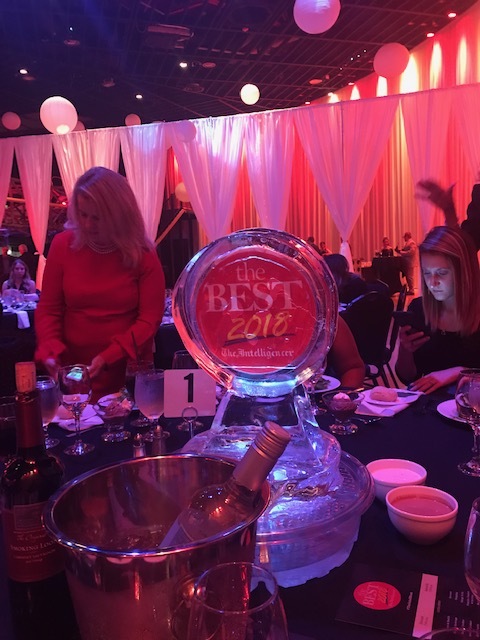 And from them, they shortlisted 30 finalists in nine categories. 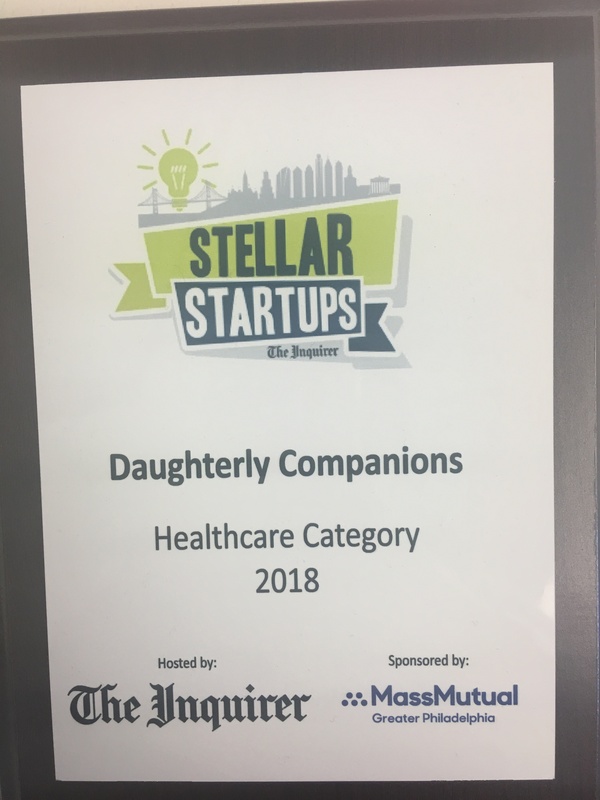 Daughterly Companions was one of the finalists in the Healthcare category. 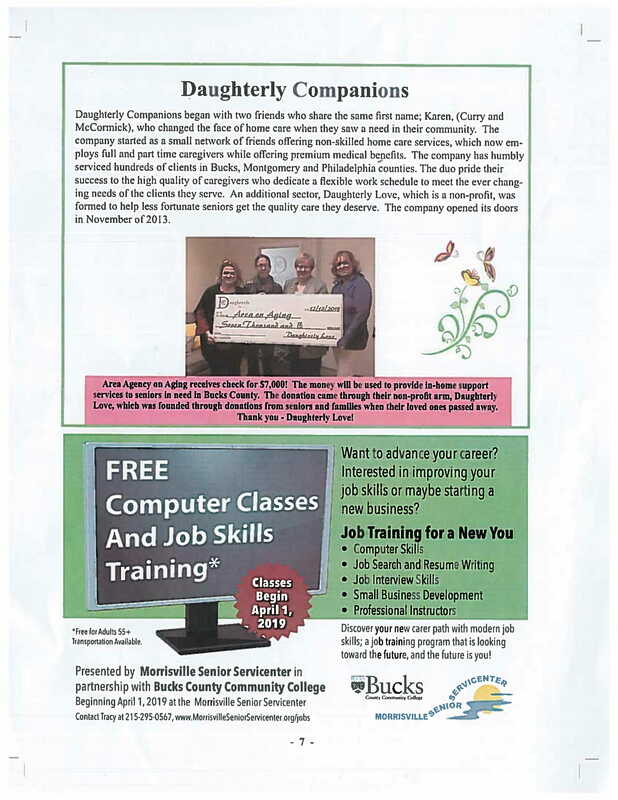 Admiral Joe Sestak spoke to Bucks County's Seniors at the offices of Daughterly Companions. 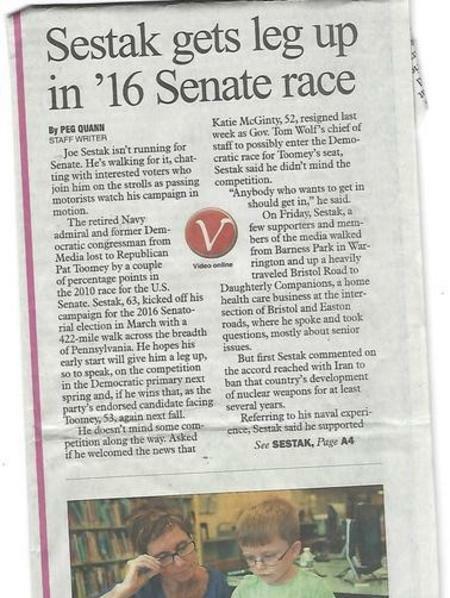 Check out our article in The Intelligence. 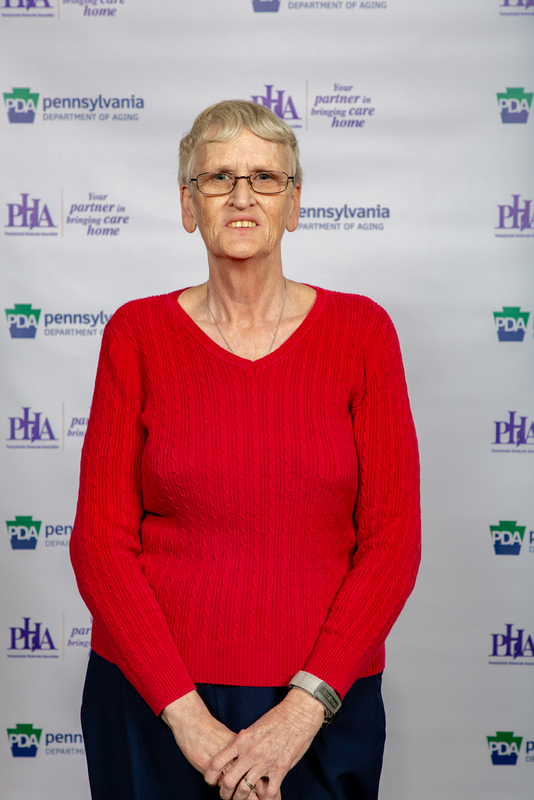 On November 15th our longtime client Thomas Hollis was honored on the field in front 80,000+ fans at Lincoln Financial Field home of our own Philadelphia Eagles for being the oldest living World War II Veteran in the Philadelphia area at 101 years old. 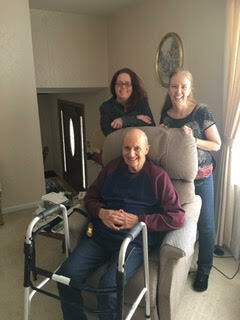 He was accompanied by one of our outstanding caregivers, Christopher. 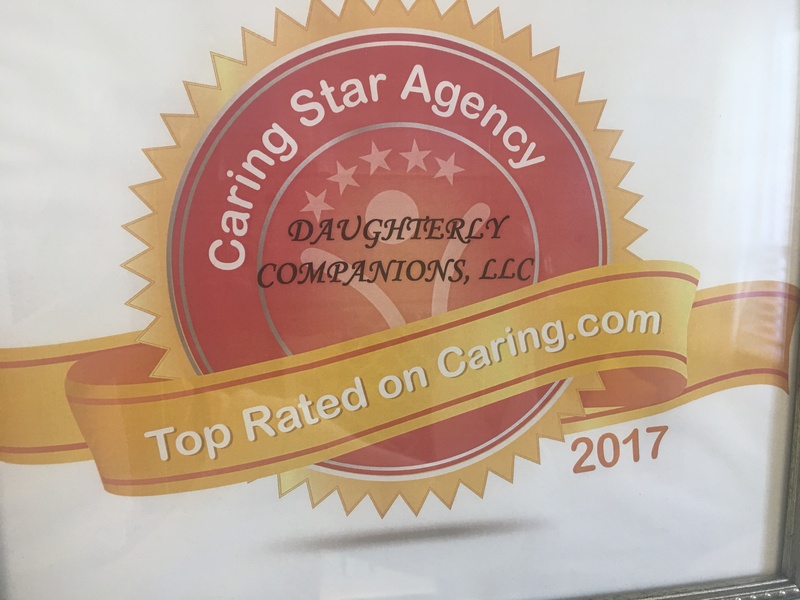 October 26, 2016 Daughterly Companions is pleased to announce it has been selected as a "Caring Star of 2017" for in-home care service excellence. 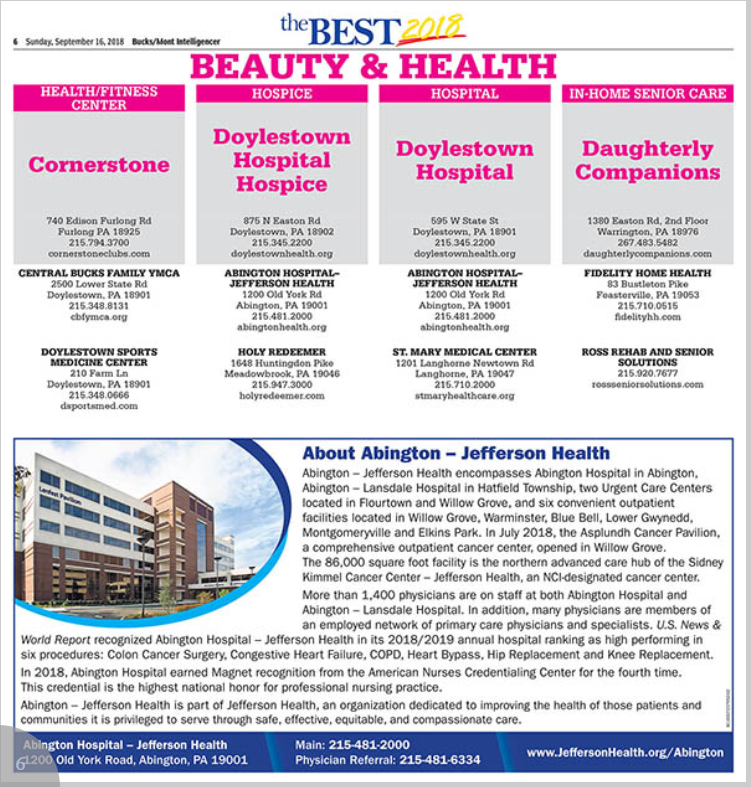 In ratings and reviews from family caregivers and cognitively healthy older adults, Daughterly Companions earned a 5-star consumer rating (the highest possible score) within the last year, while also having a high volume of positive reviews and meeting other qualifying criteria for this national honor. 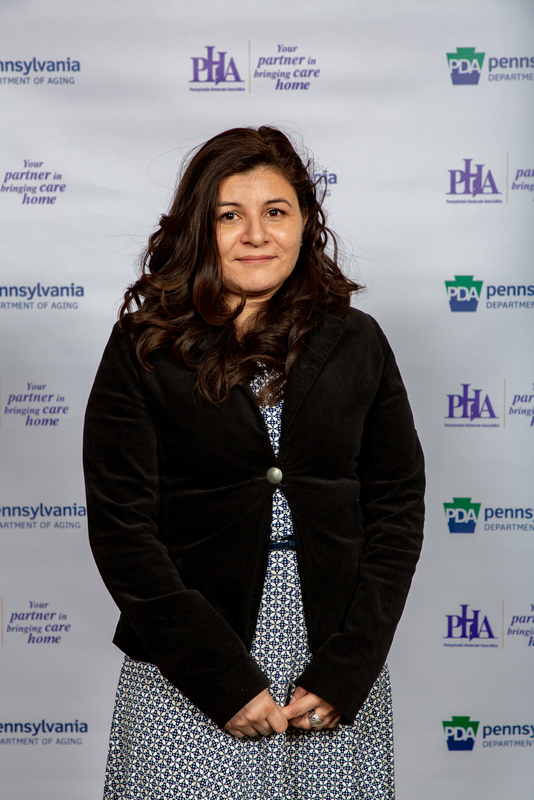 Daughterly Companions is the only award winner in Bucks County, Pennsylvania and overall Daughterly Companions is among 390 Caring Stars senior care providers across the country. 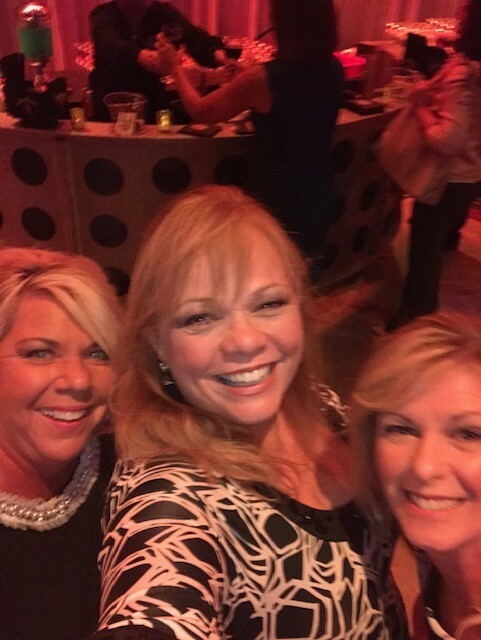 On May 12th, 2016 our beloved Karen McCormick was honored as a nominee for YWCA's of Bucks County salute to Women Who Make a Difference. 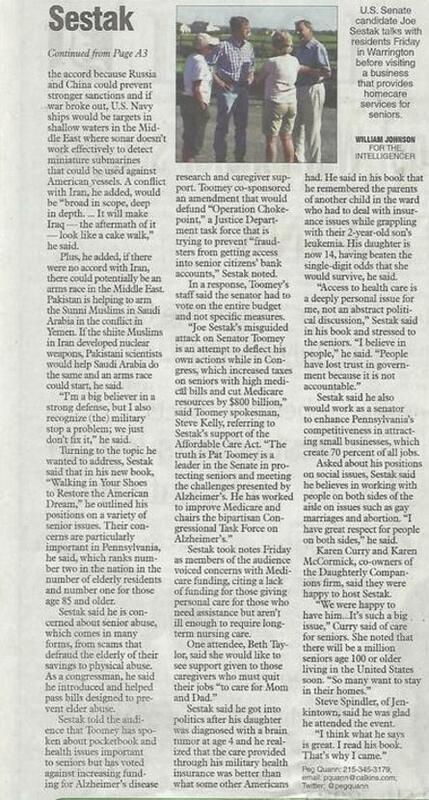 This article was posted in The Intelligence.